The following picture shows what the print looked like before tumbling. Both Ollies below were printed in white PLA, with the same settings, one was run in a rock tumbler for about ~8 hours along with some yellow zinc coated deck screws. The metallic coating is a bit fragile, it will come off if rubbed or washed, but it’s more durable than I expected. I’ve been using the Aquanet (purple) hairspray as a fixer to help preserve the surface and that has worked, but an acrylic spray or some other clear coat will probably be more durable and water resistant. 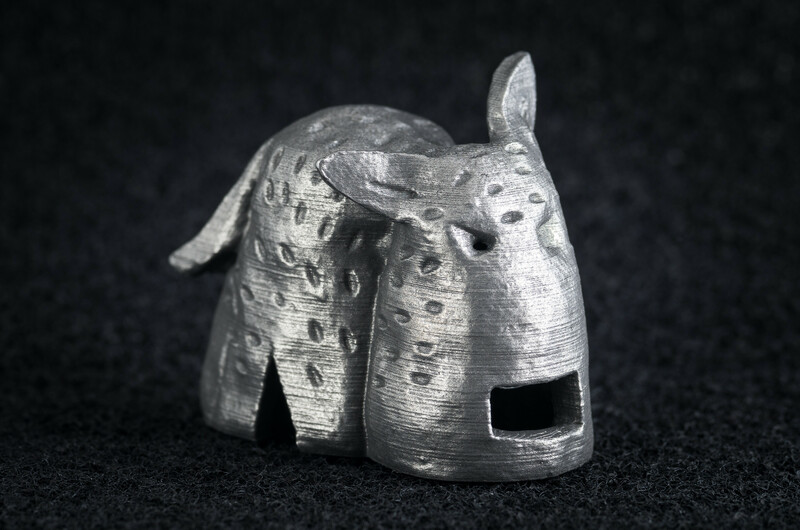 The model in the picture is Ollie, a scan of a Knotworks LA creature. 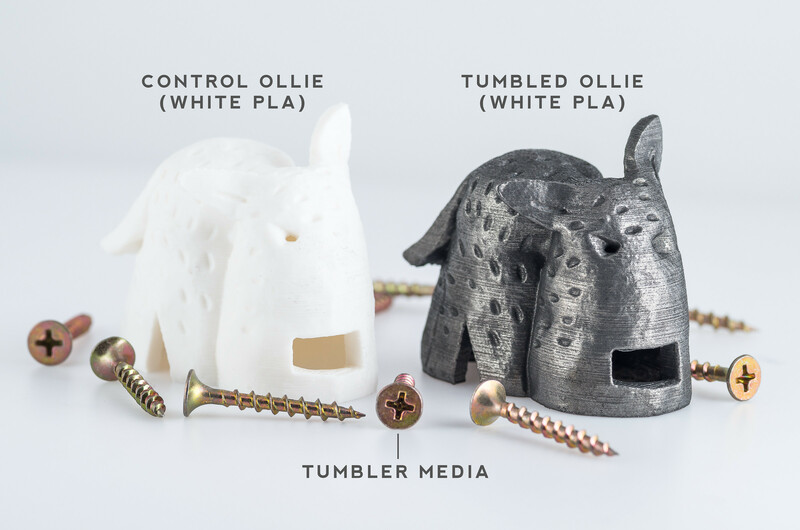 More info about it on Ollie’s Thingiverse page, or visit Knotwork LA to learn more about the rest of the family.